Do any of you wonder why I bother to write reviews here about "fresh" fragrances (e.g., aquatics, woody citrus, woody spicy, sport fragrances, etc.)? Any of you who know me from Basenotes.net or Fragrantica know that I'm very open about my adoration of powerhouse and classic old school men's fragrances. Fresh fragrances are generally not my style, and I'm often critical of those kinds of perfumes; if I had to choose between wearing Francesco Smalto Pour Homme and L'Eau d'Issey, is there really any doubt about what I'd pick? Because of this, some of you might think I'm biased, and that therefore I shouldn't even bother writing reviews on aquatics or woody spicy scents. It's something I've even wondered myself. First off, because I make it obvious where my tastes lie, my reviews should be read with that in mind - you're getting the perspective of a guy who typically wears heavier, more powerful fragrances. I try to broaden my horizons in perfume, however, so I like to sometimes delve outside the world of Azzaro Pour Homme or Jade East, and try out something new. A lot of you have tastes similar to mine. The way I look at it, if I find an aquatic scent that I like and would actually buy and wear, maybe you'll enjoy it too. Conversely, if I write a review, for example, trashing Acqua di Gio, I'd love to find out which of my readers enjoy wearing it. That's what the "Comments" section is for, so please feel free to pipe in. I enjoy engaging in dialogues with readers here. Another reason I've been writing a lot of reviews of fresh scents here is because I've been recently discovering a lot of good ones. Look at Bulgari's Aqua Marine Pour Homme - a true blue aquatic in every way, but it's so well composed, I can't help but like it. In fact, I'm considering buying a bottle right now. Last year I bought a whole bunch of Avon fragrances for dirt cheap, and most of them were of the "fresh" variety - Derek Jeter Driven, Patrick Dempsey Unscripted, Signature For Men and Jet Homme. I've enjoyed every one of them, and I'm glad they've become part of my collection. Reviews on all of them will be coming, hopefully soon. Finally, a big reason I've been focusing on these fragrances is because they are often inexpensive, sold at clearance prices in bargain bins in places like TJ Maxx and from online retailers. When I find a 100 ml. bottle of Jaguar Classic on a clearance shelf for $10, for example, how can I resist? I don't know why there's such a glut of woody spicy and aquatic perfumes in clearance these days, but it is what it is. I remember back in the early 90's when all the bargain bins were crammed with "junk" like Balenciaga Pour Homme and the original Davidoff, so go figure. I know a lot of you have been in the same situation, rummaging through bargain shelves or surfing the clearance pages on retail websites, buying fragrances without trying them first simply because the price is so cheap. Often times it's hard to find reviews written about these fragrances (e.g., Ocean by Novaya Zarya); how many times have you come up empty handed trying to find a review on a fragrance you saw for a great price but never heard of? Doesn't that drive you bananas? I'm hoping to fill that review void here. I seriously doubt Kapsule Light will ever dethrone Quorum as my favorite fragrance, but I'll keep on sampling different genres of perfume and checking back here to let you all know what I think. I'm sure there's been thousands of arguments about whether ADG, Le Male, and any other mainstream bottles are technically good fragrances or not. I can only say you(not you personally, ha) can't ignore the sales of them. In other words, they have to be popular for a reason. 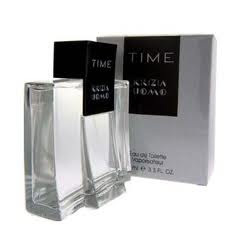 I know these days there's a better chance the average person has smelled ADG either from a magazine or out and about than say Dune or any old school scent. However, even if a classic fragrance has better quality and maybe even smells better, the more popular ones have achieved the goal of selling tons of them because it's appealing to many. I agree with you totally. I always try to separate whether or not I think a fragrance is a good one from whether or not I like it. There is a difference. 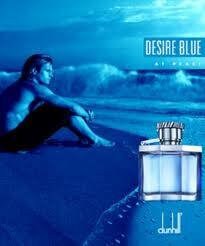 There are few fragrances I hate more than Acqua di Gio, but is it a well crafted fragrance? Yes it is! It's complex, and it does a good job of balancing the woody, spicy and citrus notes. What kills it for me is the aquatic note, which ruins any enjoyment I can get from AdG. However, that doesn't mean it's a bad fragrance. I tend to agree with the statement, "Hey, if it's been a consistent seller for 30 years, there must be something good about it." How can a fragrance be so terrible if there are so many people who have enjoyed it for so long? I might hate it, but that doesn't mean it's terrible. I was just about to review Driven. I may beat you to it! And Mesmerize also. It's essential to do what you've been doing, because hundreds of perfectly good (and awful) masculine fragrances are completely ignored. It's astounding to me, for example, how many were left out of The Guide. The world needs to know how Francesco Smalto's fragrances smell more than they need to know how Guerlain's do. Simple reason being, more people in the world can afford Smalto than Guerlain, and smell none the worse for it. I'm looking forward to reading your reviews of those two. I love Driven! I thought Avon dc'ed it for a time, but I just looked on Avon's site yesterday and was happy to see it back, along with Driven Black (also very good!). I like Mesmerize too, but not as much as other Avons. As for the omissions from The Guide, I'm not surprised. They're only two people, and they can only review so many perfumes. Otherwise, the book would never get published. I'll be doing Driven Black as well. And Musk Fire. Avon is truly underrated. I think they have that 1960s plastic toy-shaped bottle stigma to overcome. The Guide, imo, was definitely well edited, but they could have done without about fifteen or twenty of the dirt cheap celebrity fragrances that were included, and replaced them with stuff like Bal a Versailles, Silences, and Sung Homme, but then again maybe I'm just expecting this stuff to be written for me alone, which is entirely unreasonable of me. But The Guide aside, overall blogs that discuss less-expensive but interesting masculines are indispensable and invaluable. I like some fresh fragrances too, but I get burnt out on them very easily. I actually like ADG but I burnt myself out on it(it doesn't help that 20 people a day smell the same). I like reading your reviews on all fragrances(I don't care for the niche stuff that is way out of my price range, but I still read them). My favorie fresh fragrances are the new school green aromatics like Cool Water, and Aspen(yeah thats my new school). For some reason I have taken a liking to those recently(I think it has something to do with my opinion change on Brut). If anyone has any suggestions of fragrances in that style let me know. I don't think I've ever smelled Acqua di Gio worn tastefully by someone. Literally every time I smell it, it's being worn by some guy who bathed in it. Now I want to try wearing it myself, with just a few small sprays. Who knows? I love Cool Water and Aspen. I've never reviewed Cool Water, and have been meaning to. I expect I'll give it a perfect score. Aspen is very nice too, but not as good as CW. I own and wear both. I've never actually looked at the price of AdG before, until just a few minutes ago. Holy cow! This stuff is expensive! I've seen niche fragrances cost less than this.